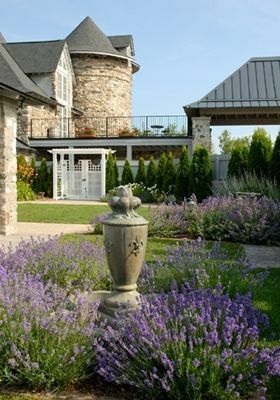 One of the most unique and spectacular locations found in the Charlevoix area is historic Castle Farms. Built in 1918 by Albert Loeb (acting president of Sears, Roebuck & Company), Loeb Farms (as it was known then) was designed as a working model dairy farm to showcase products available in the Sear's catalog. 35 European craftsmen worked with local men and local field stone to fashion this Northern Michigan castle based on the architecture of the soaring stone towers found in barns and castles of Normandy, France. For 10 years, Loeb Farms flourished; then came the Great Agricultural Depression. Following the family's 1927 decision to close the farm, the buildings were used for storage purposes, and eventually fell into disrepair. In 1962, John VanHaver purchased 100 acres of the original Loeb Farms, hoping to create an artist's Mecca. After restoring some of the buildings, he renamed the property Castle VanHaver and in 1962 opened to the public for tours. By 1969, financial concerns forced him to sell the property to Art and Erwina Reibel, who changed the name to Castle Farms. A massive concert stage was built, and from 1976-1993, Castle Farms played host to more than 100 different rock groups, including Aerosmith, the Doobie Brothers, Chicago, Willie Nelson, and The Beach Boys. Following Art Reibel's death in 1999, Castle Farms was put up for sale. In 2001, Linda Mueller of Long Beach, Mississippi, became the fourth owner. Her restoration of the buildings, faithful to the original designs, occurred over a period of four years, and by 2005, Castle Farms welcomed visitors for weddings, tours, and other events. Today, Castle Farms of Charlevoix is one of the Midwest's premier wedding venues. Along the way, visitors can play a game of gigantic chess, feed the fish in the rainbow trout pond, wander through the hedge maze, and search for gnomes and fairies that make the Enchanted Forest home. 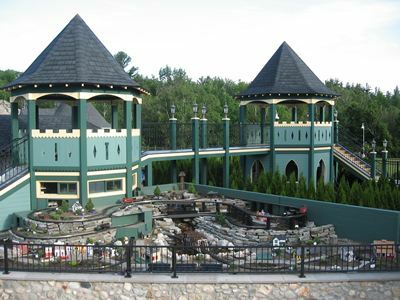 History is alive at Castle Farms of Charlevoix with antique trains, castles, and toys displayed throughout the buildings, along with memorabilia from royal families worldwide. A museum showcases items from 1918, the era when The Castle was built. Garden lovers will appreciate the magnificent garden settings found throughout the grounds--from the whimsical Alphabet Garden, formal English gardens set amidst backdrops of stone walls and soaring towers, and gentle flowing lawns leading into romantic cobblestone courtyards. The extensive gardens at The Castle of Charlevoix come into bloom in varying stages throughout the year, providing a constant background of color. Blending old-world charm and modern-day elegance, Castle Farms offers a spectacular glimpse of Northern Michigan history in a beautiful place to celebrate and explore.